Quick response can turn a water damage emergency into a controlled repair. Homeowners have to make decisions in the moment that will determine how smoothly their emergency water damage repair goes. Read these tips so that when there’s a leak or flood in your home, you’ll know how to react. 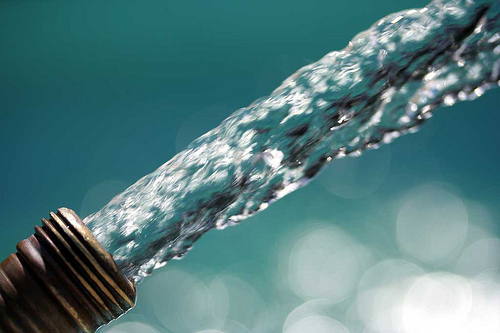 If the leak is coming from inside your home, shut off the water entirely. There should be a master valve that will control the flow of water to your house. If you have a well instead of city water, learn how to turn off the pump yourself. Turning the water off entirely can buy you time to fix the problem without swamping your home. A flood or leak is the perfect time for pictures. Today, smartphones make this step easier than ever. Your insurance company will ask for proof when you submit your claim. Taking pictures before you begin clean up shows the true extent of the damage. It’s important to take these pictures no matter what. If the leak is minor and you respond quickly, there could be no need to file an insurance claim. Sometimes, however, leaks that seem minor turn out to be a big problem. If your emergency water damage repair turns out to sport a heftier price tag than you expected, you’ll be glad you took pictures first. If the weather outside is dry, open your windows and get cross flowing air into the flooded area. Set up fans and dehumidifiers. If the water is from a clean source (like a non-sewage pipe in your home), you can also mop and blot the area with a towel. Focus on removing water first and foremost. Assessing existing water damage should be done by professionals. Water damage doesn’t get better on its own. It only gets worse. If your home has flooded, that water damage is going to remain until you have it repaired. Putting it off just gives an opportunity for mold and bacteria to flourish. Especially if you have stagnant, standing water, your problem multiplies as the bacteria in the water do. You should always take safety precautions when working with water damage. First, know what kind of water to avoid. If you know or suspect there may be chemicals or sewage in the water, don’t risk your health. Sewage can cause disease or death if ingested or if it enters the body through a scrape or cut. An emergency water damage repair isn’t worth it if you endanger your health. Working with clean water still requires safety gear. Wear gloves and a face mask if possible. Long pants and sturdy shoes will also minimize the risk of cuts, scrapes, and water borne organisms entering your body. Lastly, be mindful of electrical complications. Don’t plug anything into water damaged rooms. If possible shut the current off to your house before wading into the water. Safety is your best emergency response. Keeping safety in mind, document the extent of damage to your home and then move on to clean up. Moving standing water and drying your home can be started right away. Once you’ve begun the cleanup process, call in a professional to finish the job and assess the damage done to your home.